Like most young girls I grew up on the story of Cinderella – a young woman in a challenging situation, escapes her condition by believing in fairy tales manifested in the form of a fairy god mother. This fairy god mother imagines a stunning and iconic dress, magical shoes made of glass and a pumpkin turned gilded carriage into existence. This is the stuff really good fairy tales are made of. As I grew up, this child-like whimsy was replaced by reality buttressed by a healthy dose of sarcasm and I started to believe less and less in fairy tales. 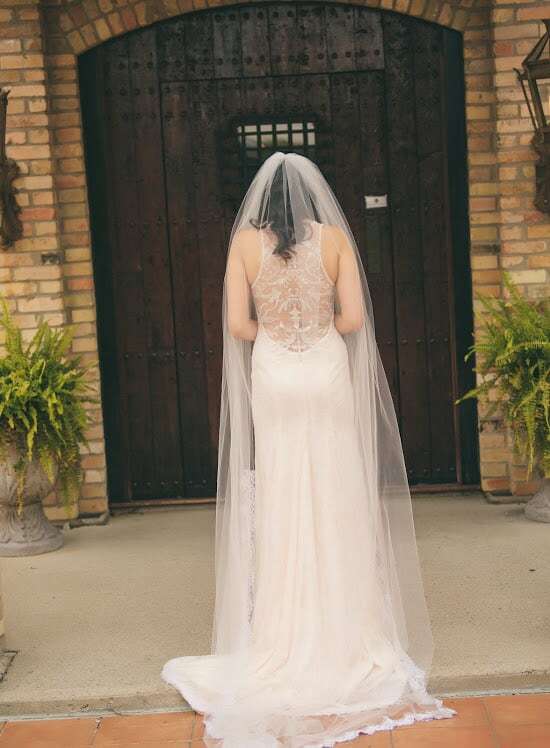 When the time came for me to get married, the dress was the first thing I wanted to check off my list. I went into the process knowing to manage my expectations, that I wanted a dress that wouldn’t turn me into a princess but rather make me look like a woman and the best version of myself and believing that as with many things related to wedding planning, the process might be stressful. I was also facing my own personal challenge and the biggest one yet and that was having open heart surgery ten months prior to my wedding. I knew that surgery would mean my body might change and that whatever dress I chose had to help me embrace my new body- weight fluctuations, scarring and all. After several attempts at bridal salons around the city, I was starting to feel discouraged and that my vision of my dress was out of reach. Then I stepped into Valencienne Bridal. 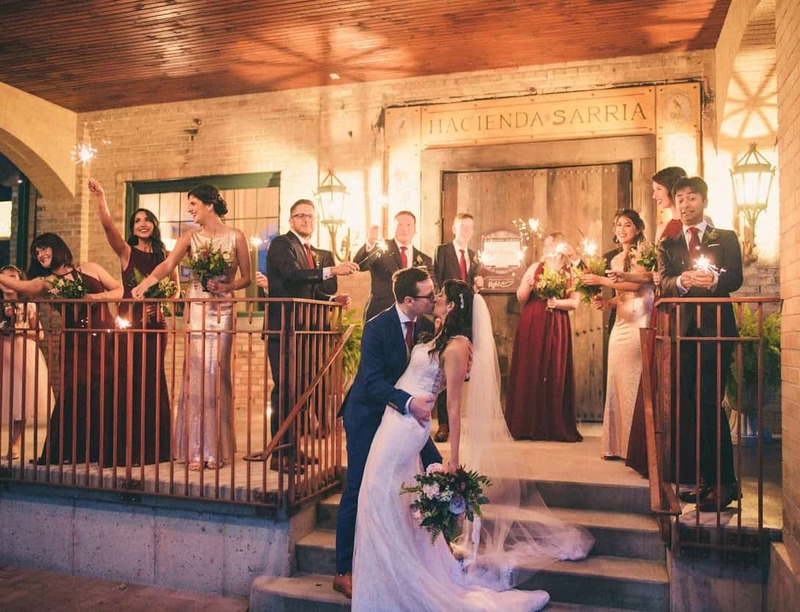 From the first moment I stepped into Valencienne, I knew it was no ordinary bridal salon. The boutique exudes an old world charm that is hard to come by in this city. I felt like I was in a French atelier, where seamstresses work the most detailed beading into stunning bodices and rows of lace and tulle are whipped into submission at the hands of an immensely talented team who know and love the art of dress-making. Add to it the subtle scent of Chanel No. 5 that peppers the room and I knew I was in the right place. From the first moment I met her, Kim and I worked on every aspect of my wedding dress from scratch to finish. From the conception, to the selection of the softest and most incredible lace, to the conception of the back- the centrepiece and show-stopper of the dress. 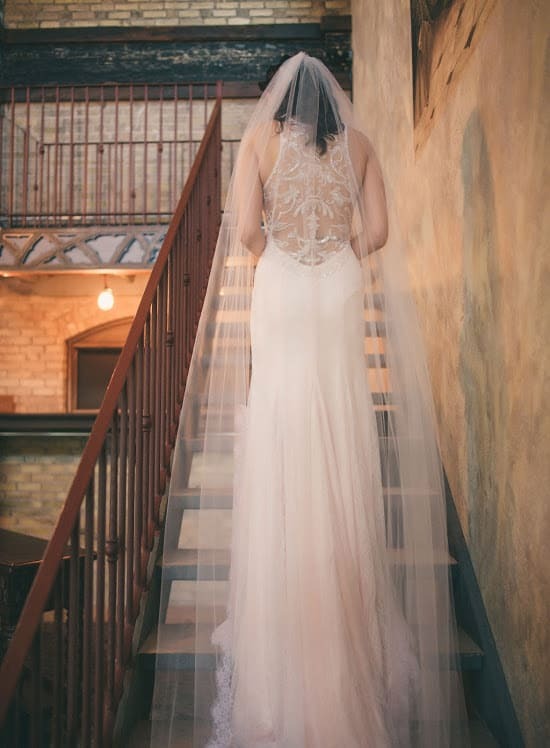 The design Kim and I finally settled on was a soft, blush lace sheath gown, with a gorgeous train and an intricately and entirely beaded back so that the back would look like beading tattooed onto skin. 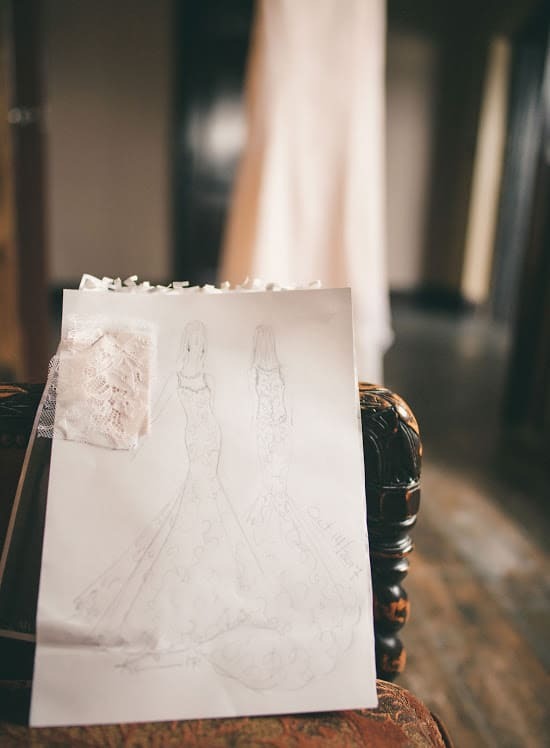 Every step of the process was detailed and memorable and I loved every fitting – every piece of fabric and every pin and needle holding my soon to be wedding gown together. 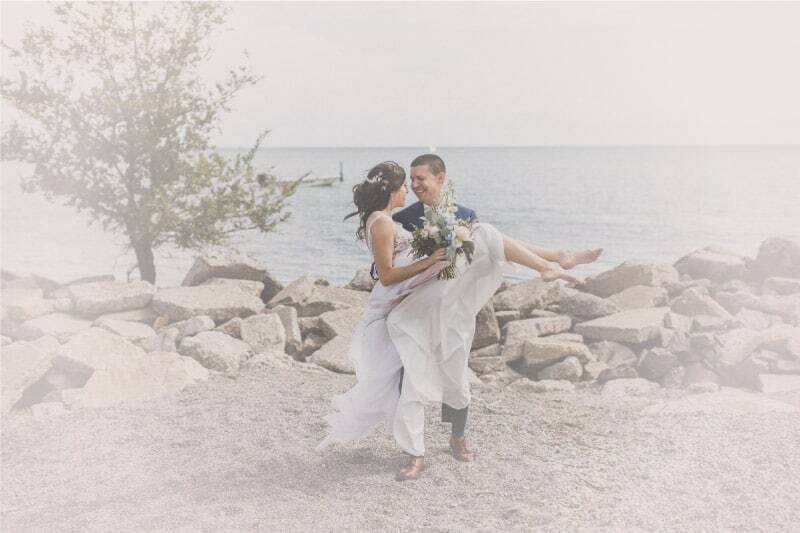 A custom made dress, as would be expected has a several more fittings versus altering a ready-made gown as every aspect of the dress is being created from scratch but the many visits to Valencienne just made the wedding dress experience so much more fun. As the months passed and my wedding date drew closer, I got to my third fitting. This was the one I had been waiting for. The beaded back of my dress (which was an entirely separate piece) would finally be attached to my dress and my dress would finally start to take its final form. At my third fitting, the after effects of my surgery reared their head in the form of extreme weight loss throwing a wrench in our plans. The measurements that had been taken a few months ago no longer held true and the dress would need to be taken in quite a bit, which meant the back could not be sowed on just yet. Kim and I came up with a plan to wait a couple of weeks, measure again and then go with the latest measurement as final. At this point we were less than two months away from my wedding. A couple of weeks later, I was back at Valencienne, this time having lost a few more pounds. It was at this stage, Kim suggested we wait as close to the wedding as possible and measure a week prior to the event to get the final measurements. It was at this moment, I realized just how gifted and knowledgeable Kim and her team are and how committed she is to excellence and perfection. Waiting that close to the wedding to finish the dress was risky but necessary to get the perfect fit and under no circumstances was Kim was letting me wear a less than perfect dress. 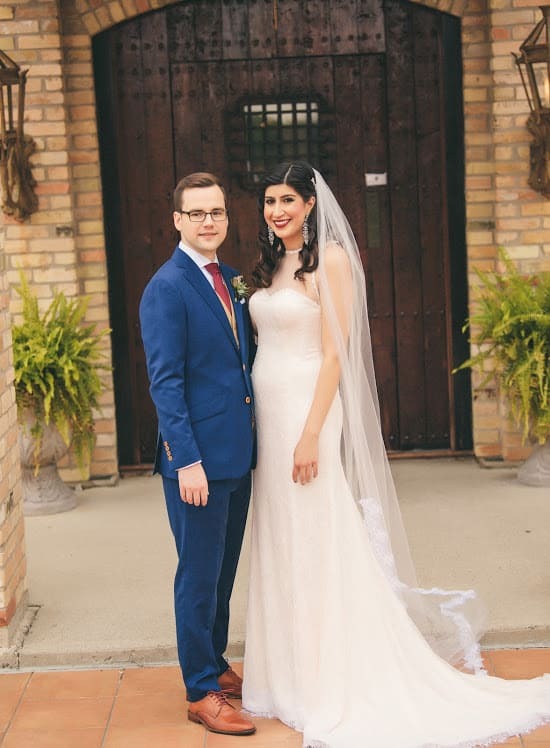 On October 14th, 2017 I walked down the aisle to my husband in the most gorgeous lace and bead confection, beyond anything I could have imagined. 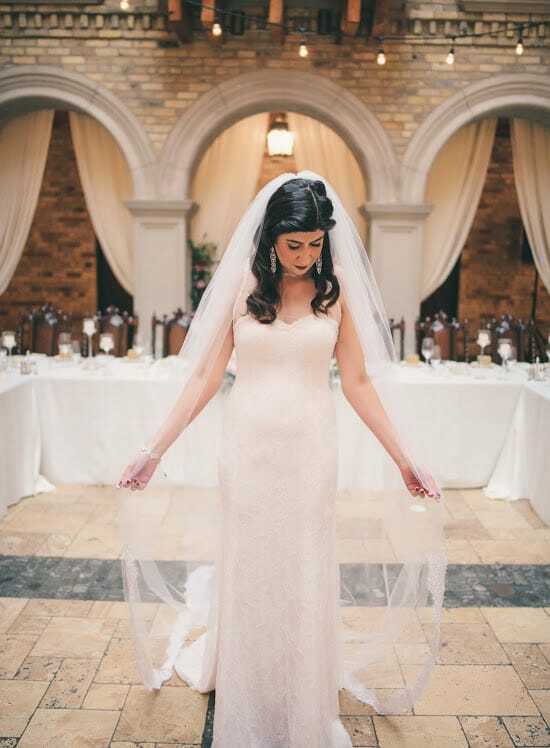 My dress fit absolutely perfectly – every inch of fabric so perfectly stitched it felt like it was a part of me. It was at that moment, as I said my vows to my husband in the most beautiful dress I have ever worn, surrounded by the people I love I knew that my younger self was right. Real life fairy god mothers do exist and dreams do in fact, come true.